Longtime readers may be noticing something (well several somethings) new around these parts! 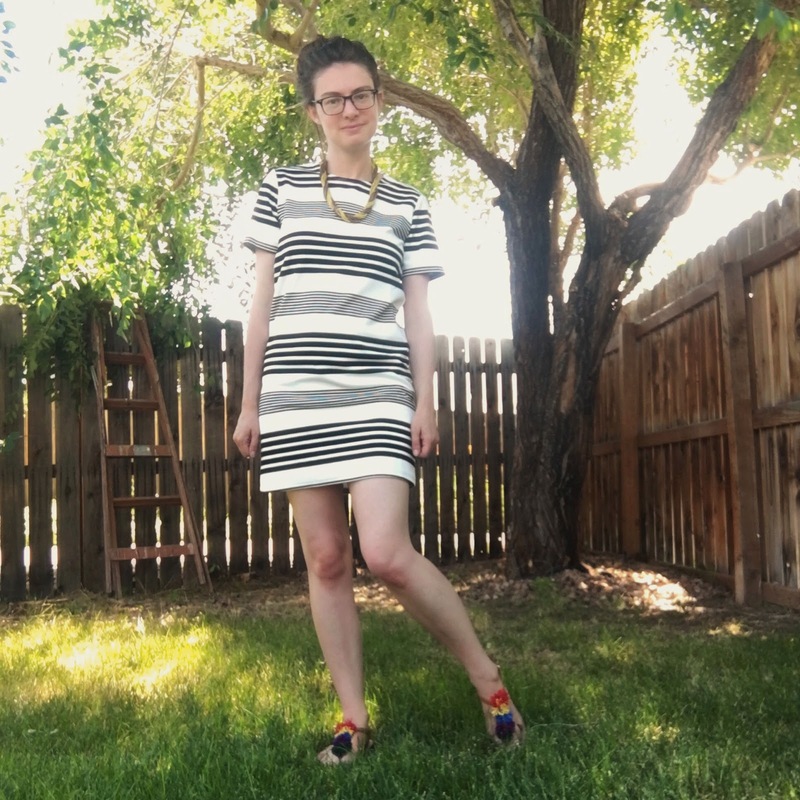 And it's not that I actually am sharing a What I Wore post again in the first time in forever (er, well not just that!) Never Fully Dressed (Without a Style) is getting a make-over for the first time in... not to be repetitive but in forever. With a New Mama schedule of "what I can manage to do during naps," these changes are happening slowly, bit by bit, but I'm already pumped about it! These changes got me so excited about blogging again in fact, I even managed to photograph new outfits (despite what the blog is titled, I have in fact been fully dressed, even if I wasn't sharing photos). TOBI is a new-to-me company that generously allowed me to pick out three things from its extensive website to try out. 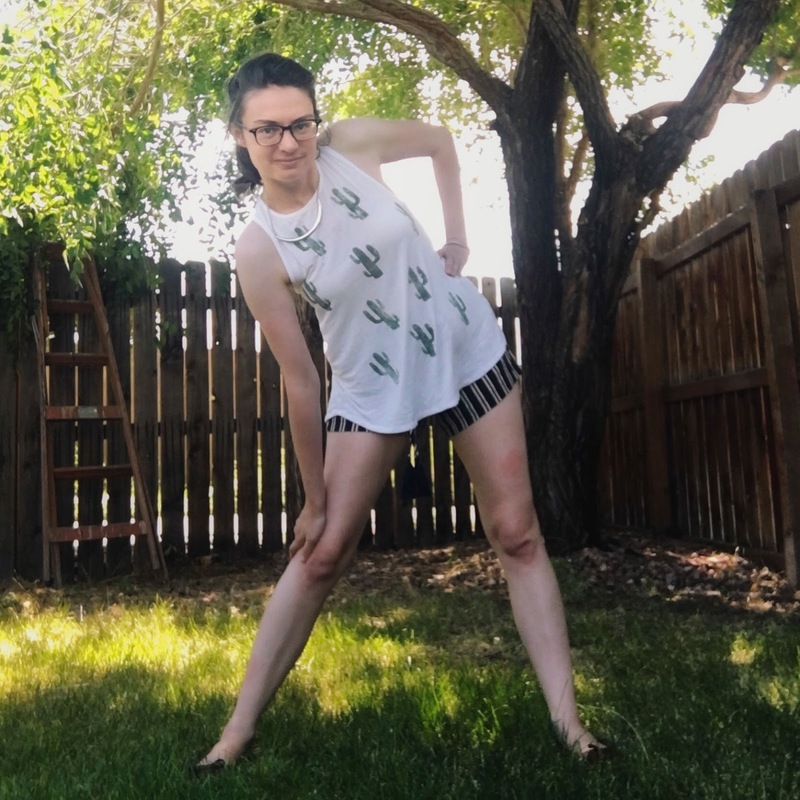 Finding clothing that is cute, but also fits my needs as a mom has been not without its trials. 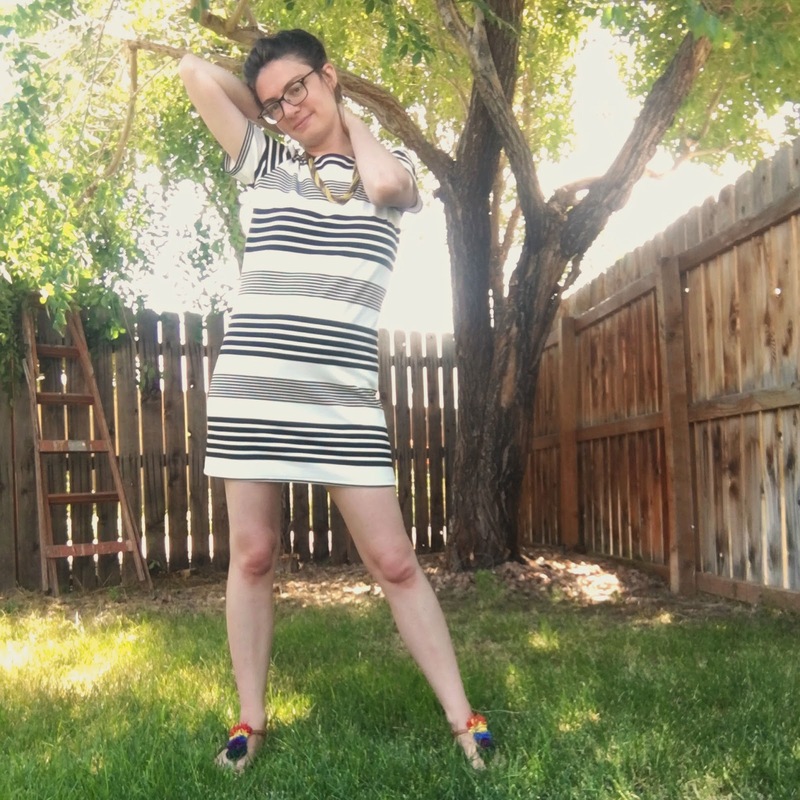 So, while I am still doing the 10x10 Style challenge, I also wanted to share with you some of the other outfits I've been wearing this summer, especially with these fun TOBI items. 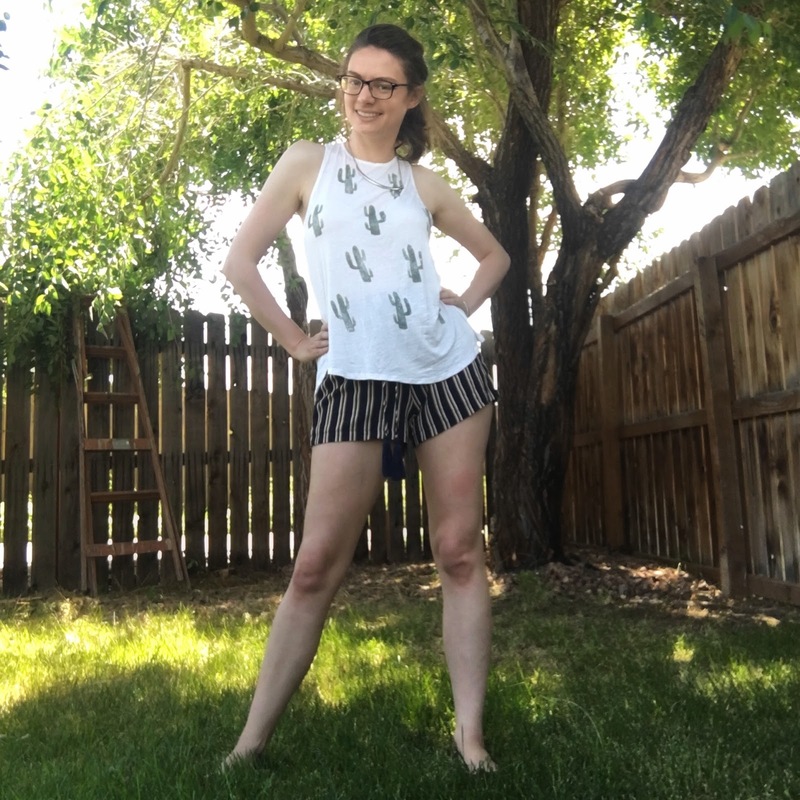 The first set of pictures, with some striped shorts, was full-on casual, perfect for toting a bebe around in the summer sun. These white pants give a much more professional attitude. 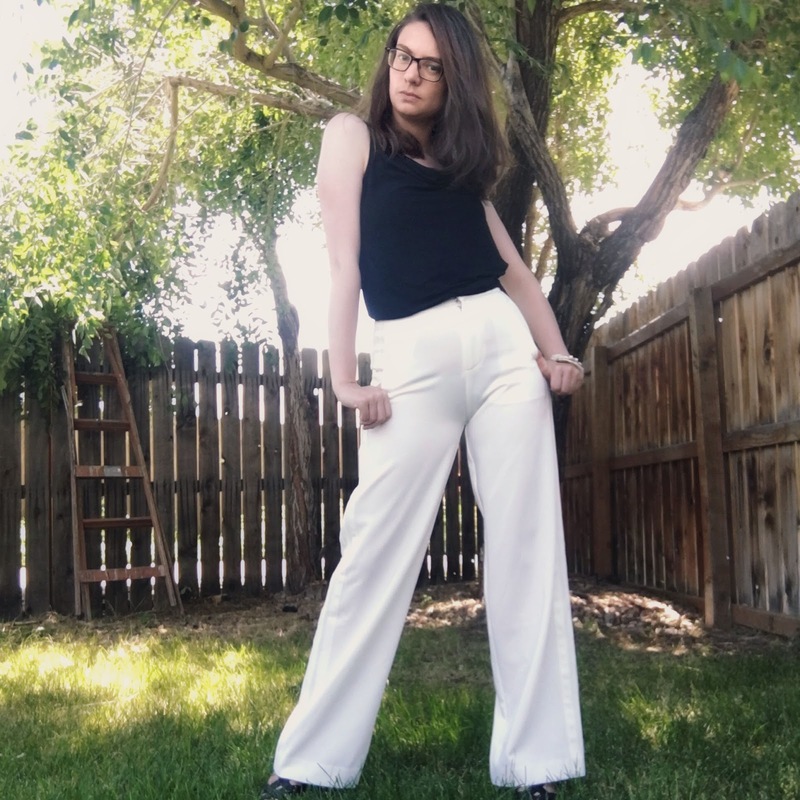 Confession time: I was not expecting the level of quality that I got with these pants (nor indeed with the dress shown below). 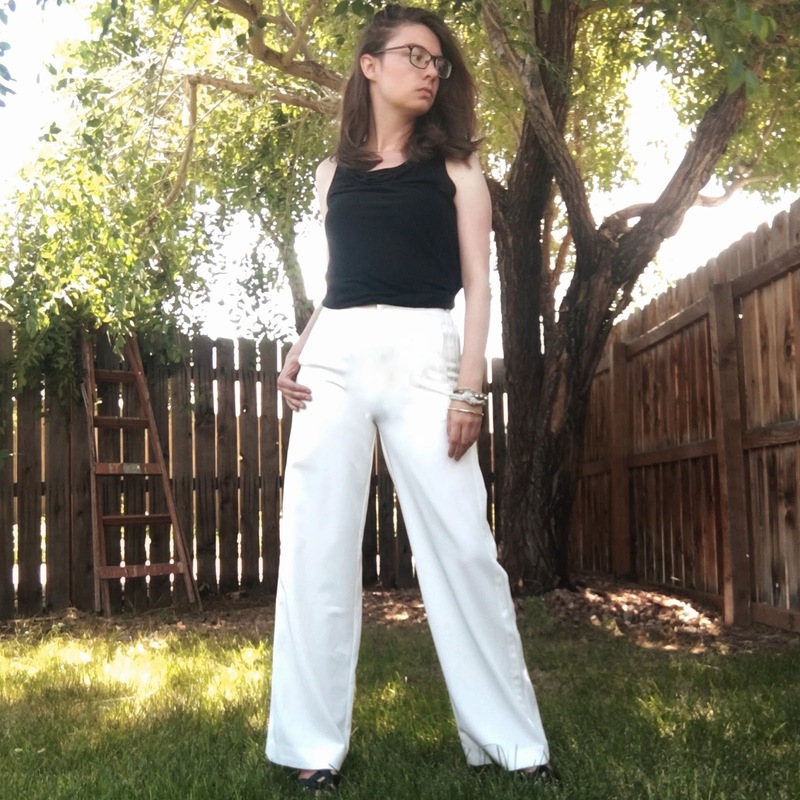 I'd been wanting to try out white pants for a summer look. You guys, these pants are made from a thick, sturdy material. I would totally wear this in a work setting, no problem. No cheap, flimsy stuff here! Of course, I don't have work at the moment, but it totally reminds me of this work outfit that I loved. Speaking of "something a little different," I thought I'd take this opportunity to try a different silhouette. Longtime readers may recall, I've shared before how thinking about the shape of an outfit really helps me consider my style. Needing to be able to get up and down from the floor with a baby who has the audacity to just keep on growing (who knew kids did that? ), well, let's just say, I have been looking for easy-to-wear. Both easy to wear physically, and easy to wear as in I look put together. Enter the T-shirt Dress. I'll level with you: I was expecting a shirt made out of, well, t-shirt material. This is actually much nicer material (I'd feel very put-together at work in it), but it is still easy to wear, so double yay. My favorite part of this last outfit are the shoes though. Is it even possible to be unhappy in rainbow shoes? Also like the cactus shirt! I don't j is why they are question marks... they are suppose to be the heart eye emojis! Heart eye emoji! I will picture it in my head. Thanks! All of this looks so cute - but I especially love the T-shirt dress! Love that you shared a new style post!! Those white pants look amazing on you.